Because prevailing atmospheric/troposcopic conditions greatly influence radio wave propagation above 10 GHz, the unguided propagation of microwaves in the neutral atmosphere can directly impact many vital applications in science and engineering. These include transmission of intelligence, and radar and radiometric applications used to probe the atmosphere, among others. 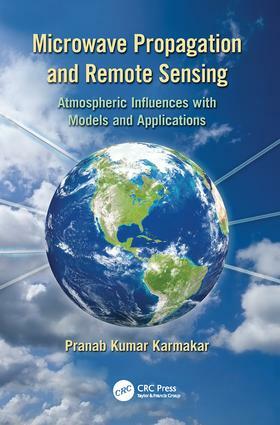 Where most books address either one or the other, Microwave Propagation and Remote Sensing: Atmospheric Influences with Models and Applications melds coverage of these two subjects to help readers develop solutions to the problems they present. This reference offers a brief, elementary account of microwave propagation through the atmosphere and discusses radiometric applications in the microwave band used to characterize and model atmospheric constituents, which is also known as remote sensing.